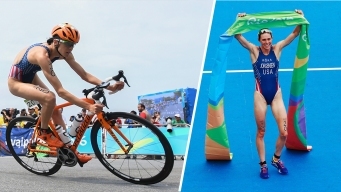 RIO DE JANEIRO (AP) — The reasons for triathlon's burgeoning appeal are as varied as the sport itself. Katie Zaferes laughed when asked if it was love at first sight with her now husband, Tommy Zaferes. RIO DE JANEIRO (AP) — Just like four years ago in London, Alistair Brownlee grabbed a British flag, slowed to a trot and then walked across the finish line to win the gold medal in the men's Olympic triathlon. 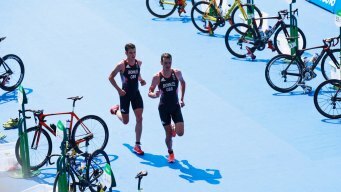 Britain's Brownlee brothers won Olympic medals again in the men's individual triathlon on Thursday.